As we all get older there is more chance of suffering a deterioration in health and having had a relatively medical problem free life, I now find that perhaps things are catching up with me. 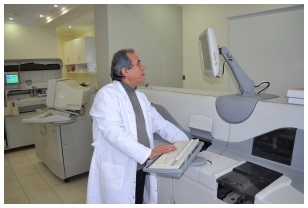 In North Cyprus there are many different opinions from expatriates about medical treatment. Is it good? Should we return to our homeland for treatment? Are we happy with the medical service in our adopted country? Can we afford treatment here? Personally, I think it is good, having had experience at first hand, not for myself but for others I have needed to assist. Now I can speak from personal experience as I have also now succumbed to some medical problems. Early in December, while lifting a gas cylinder to replace an empty one, I felt a crack in my back and subsequently the pain started. I had consultation at a local Orthopaedic clinic and a trip to Lefkoşa for an MRI scan and urine test, there then followed painkillers, antibiotics for the coincidental problem of a kidney infection and tablets for osteoporosis which I unfortunately have had for some time and foolishly not had treated in any way. Right, I decided, I needed a thorough check-up to try and get myself sorted out and having heard about a new medical centre attached to an existing small private hospital in Girne, I thought I would visit the Medical Centre at Kamiloğlu Hospital to see what they could do to help me over this very painful and frustrating situation. Irena Hulson, a retired English doctor who doesn’t practice any more but spends a few days at the hospital where she has become known as “Dr Irena”, and there is Jane Rhodes and Tricia who also give some of their time to make the English speaking patients welcome and not forgetting the smiling Seckin, who says he does everything! We remembered Seckin from meeting him about a year before, he also speaks excellent English and with the ladies he liaises with the patients to ensure they are dealt with quickly and efficiently. This is a bonus for us as part of the stress is the language barrier so the hospital have recognised this and done something about it. These ladies (and Seckin) make sure you know where you have to go for tests, consultations etc. so you are not left sitting thinking you have been forgotten. My first visit entailed a blood sugar/cholestorol test, blood pressure check, heartbeat and pulse rate check which were all free of charge. They also weighed me and checked my height which was all recorded in my file. I also produced another urine sample for testing in the laboratory adjacent to the hospital for which there was a small charge. I saw Dr Shebnem who went over the registration form I had completed and records I took with me covering the MRI scan and first urine test and the results of a well-woman check I had undertaken a few years previously. Following this I was directed to Dr Hűseyin Kalgay who is an Orthopaedic Surgeon and he also looked at the results together with the disc of the MRI scan. It seems that my main problem is not from the fracture of a vertebrae caused when lifting the gas bottle, but from a very old injury, I could confirm that many years ago I fell from a horse and smashed my coccyx, which resulted later in pain at the lower end of the spine. This happened a couple of times when I still lived in the UK but for many years there has been no problem, until now! I also had an x-ray and a bone density scan and Dr Shebnem thought a culture from the urine sample should be done in order to ascertain the correct remedy for this problem. There were charges for these procedures but not excessive. not ready and Dr Kalgay had been called to an emergency operation, although he had left a prescription for me for various medication. I made another visit to see Dr Kalgay and he confirmed the osteoporosis as being very bad in my spine, although one redeeming thing is that my hips seem ok. He prescribed another tablet to take and asked me to go back and see him in 10 days after taking the course of medication. It will probably be necessary to have some physiotherapy in due course and he will arrange this for me. I have been taking the medication and must say things are getting better day by day. Would I say the medical service has been good – yes I would. ambulance they will then be able to drive directly to a patient’s home. I am waiting for them to locate my address and when this procedure has been carried out I will be issued with my personal registration card. This seems to be an excellent idea to me. 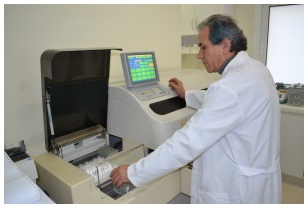 although of course it is also very convenient for patients of the hospital to get tests carried out. We felt that there is probably a lot more information we can pass on about the Laboratory so will be returning to do a separate article about this facility. So I have another appointment to visit the Medical Centre by which time I am sure I will have greatly improved, I am now noticing the difference although I must say I was initially told that it would take quite a long time for the vertebrae problem to heal and I would have to be patient. Unfortunately patience is not something I have a great deal of, especially when it comes to pain, but I feel so much happier now and beginning to feel my old self again. e would I be at now, maybe still waiting for appointments and results. My first visit to the Medical Centre here took around 3 hours, but during that time I had many tests and, more importantly, had the results. I know that we have to pay but to have peace of mind and immediate corrective treatment is well worth the price, which at the end of the day, in my case, was not excessive. Of course operations are a different matter and this is where there can be financial problems depending on the seriousness of the surgery. Personally, I hold an amount of money specifically for this purpose should the need for surgery ever arise. I am sure there are people who will not agree with what I have written but I felt the need to give my account of my personal experience and to say that I am more than happy with the medical attention I have received in North Cyprus. I was interested to read this account of the way that Margaret Sheard was treated in Kyrenia and am pleased that for her it has been a positive experience. I can’t speak for the north but in the south of Cyprus it’s a total lottery with treatment, facilities, etc. tending to err on the negative. I have read your story in Cyprus Mail. What a dreadful experience you have been through and disgusting treatment from the people who should be trusted to see justice done. I can understand why people take no action as they know they are on the losing side even before they start. Perhaps you would insert your comment on the actual article I have written and I will also reply to it. This way it will be seen by our worldwide readership. We will also be happy to publish your article which appeared in Cyprus Mail on our website if you are in agreement and again it will have worldwide readership, please confirm when you post the comment. These things should not be swept under the carpet. Margaret Sheard’s experience of Kyrenia Medical Centre (Kamiloglu Hospital) confirms my own opinion of this establishment. I went there myself some years ago, soon after it opened, for x-ray and ultra sound tests; fairly routine procedures but I was impressed by the attention that I was given and the speed with which everything – including the results – was completed. In October 2012, however, my wife’s experience was more impressive. 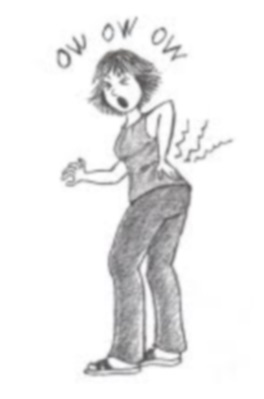 She developed a pain in her right shoulder, which became so acute that she was unable to sleep. 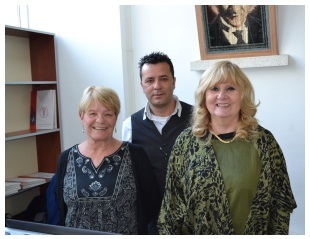 Kath made an appointment to see our g.p., Dr Huseyin Cenkler, at 4 pm the same day, a Friday. 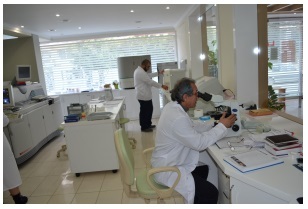 We arrived at his clinic at Fehmi Ercan Caddesi, in central Kyrenia, at 3.45, went straight in and within a few moments, Dr Huseyin recognised that a specialist orthopaedic opinion was required. He telephoned the KMC and Dr Huseyin Kalgay, whom Margaret saw, said that he would see Kath immediately. The hospital is just a few minutes away and on arrival, we were taken to Dr Kalgay’s room. After an initial examination, he sent Kath downstairs, where the x-ray team were waiting for her and by 4.10, she was back, discussing the result of the x-ray. The diagnosis was deterioration in the shoulder joint and a probable tear of one tendon, possibly two. To confirm his opinion, supported by the x-ray results, Dr Kalgay wanted Kath to have an m.r.i. scan. This is one procedure that can not be done in-house but if we could get to Lefkosa before 6 pm, it could be done right away. It was still not 4.30 but as we did not know the location of the facility (Alfa Emar), we opted to leave it until the next day and an appointment was made for 10.30 am on Saturday. Again, we arrived early (it is easy enough to find) and by 10.30, we were on our way back to Kyrenia, with the m.r.i. film and typewritten report for Dr Kalgay, whom we saw at 5 pm the same day – Saturday. After some discussion, it was agreed that an operation was the only solution to Kath’s problem and Dr Kalgay said that he could do it on Monday. She went into the hospital at mid day, to find our g.p., Dr Huseyin Cenkler, waiting, to ensure that Kath was comfortable and understood what was to happen. The operation was successful and when I visited at about 6 pm, Dr Huseyin appeared again, to check on his patient. Kath came home the next day and although there was a lot of residual pain and two or three follow-up consultations, we could not fault the treatment that she received. Fortunately, we are insured, so everything was covered and cost was not an issue. If it is, then I would advise getting an indication of cost before getting involved with any private treatment. Incidentally, although both of us have had treatment at the hospital, we know nothing of the registration process described in Margaret’s report, so that must be a new initiative. Thank you for your brilliant account of your experience. 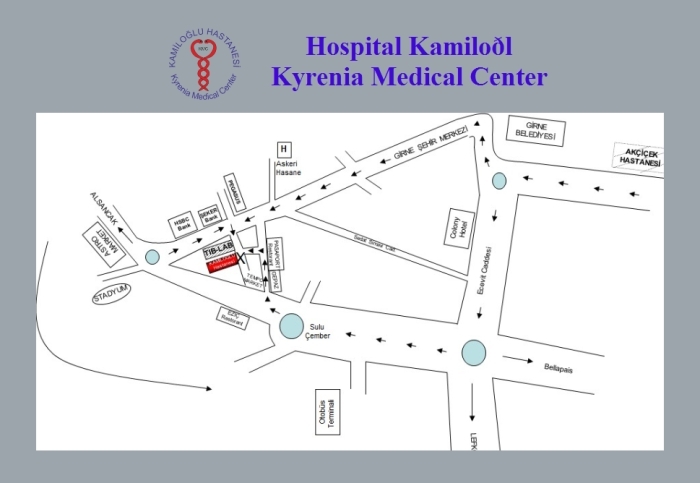 The registration process is a new initiative with the introduction of the Kyrenia Medical Centre at the hospital. I believe there is an MRI machine but I will double check this point. WE have used the hospital several times including me last summer having an overnight stay following a small procedure and we have always had good treatment from doctors and nurses and despite some language difficulties always felt at ease. We are registered at VIP but seriously considering registering at Kamiloglu. An addition for directions, coming from the roundabout on main road, HSBC is on your left then turn right at next junction. Hospital entrance is 75 yards on your right, just past laboratory and before Pertev. Parking is awful!!!! Thank you for your comment, it’s nice to hear other people’s views. Location map now inserted in the article. I have have just had a knee replacement op done with DR Kalgay on 23rd June 2014, I am thrilled with the result, he has straightened my leg & foot, a neat scar with minimal swelling. I can highly recommend this hospital’s care & medical professionalism,I am so glad i settled & chose this hospital for my knee replacement. It is so nice to hear good reports about treatment. I have previously been advised of satisfaction with this hospital. I have only been there for consultation but also was very pleased with the way everything was handled. i am walter an international student of Girne American University. i just want to know if your hospital does gynecomastia surgery and please the cost of it..
thanks for your understanding i will be expecting your reply on my mail.. say BLESSED. 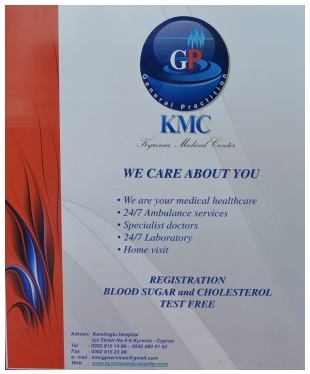 Sorry but we are unable to answer you question but if you call the Kamiloglu Hospital on the following numbers we are sure they will be able to give you the information you require. I had problems walking and actually had an appointment in the U.K. but was advised the delay was three months on the NHS. O.K. you don’t have a private room and all the other bull you get at The Nuffield or BUPA but what I can say the service/treatment at The Kamiloglu Hospital was second to none and as have already said, at a fraction of the U.K. cost.